The home of Zoo Atlanta, and one of the oldest neighborhoods in Atlanta, Grant Park has become a highly sought-after neighborhood for families and professionals seeking to purchase Intown Atlanta real estate. Founded in 1882, the neighborhood is recognized nationally for its historic setting, Victorian architecture and one of the largest parks in the City of Atlanta. But what makes Grant Park unique is that, despite its close proximity to downtown, the area provides that welcome feeling of stepping back into a time when life was simpler and neighborhoods were built on community. With tree-lined streets, little villages of local shops, and restaurants frequented by locals as well as visiting “foodies”, the Intown Atlanta neighborhood of Grant Park is an area where residents and visitors can relax and feel at home. Complementary to its homey and laid-back feeling, Grant Park offers many attractions that speak to the City of Atlanta’s distinct history. As most of its homes and buildings were built between 1882 and the early 1900s, Grant Park is home to the second oldest house in Atlanta, built for Georgia Railroad Civil Engineer, Lemuel P. Grant in 1858. It is also home to the Atlanta Cyclorama and Civil War Museum as well as the Oakland Cemetery which serves as the resting place for Gone With the Wind author Margaret Mitchell; Atlanta’s first African American mayor, Maynard Jackson; golf great Bobby Jones; and many other well-known Atlanta residents. Along with its impressive Zoo Atlanta and extensive park, the Grant Park neighborhood also provides a summer Farmers Market, walking tours, numerous festivals, and a series of special events throughout the year. 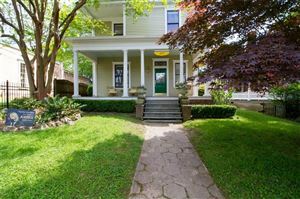 Homes in Grant Park consists of Victorian-era mansions, Craftsmen-built homes, small cottages, and early 20th century Atlanta bungalows that have either already been renovated, or are yearning to be brought back to their original charm. Prices are continuing to increase as demand for homes in this family-friendly neighborhood and Intown Atlanta real estate location remains high for those looking to call the historic and community-friendly area home. When you are looking to buy or sell a single family home, townhouse, condo, or investment property in the Grant Park real estate market: call (877) 249-8533 Park Realty is committed to helping you meet your goals.